Should we be banning Father’s Day? 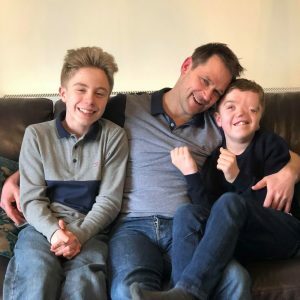 I recently saw a debate on television about whether Father’s Day should be banned as the numbers of single parents are on the rise. Whaaaat? Even if that’s the case and a mother is raising her children alone as my mum did for years, they didn’t arrive as the product of an immaculate conception and there will be a father somewhere in the picture. 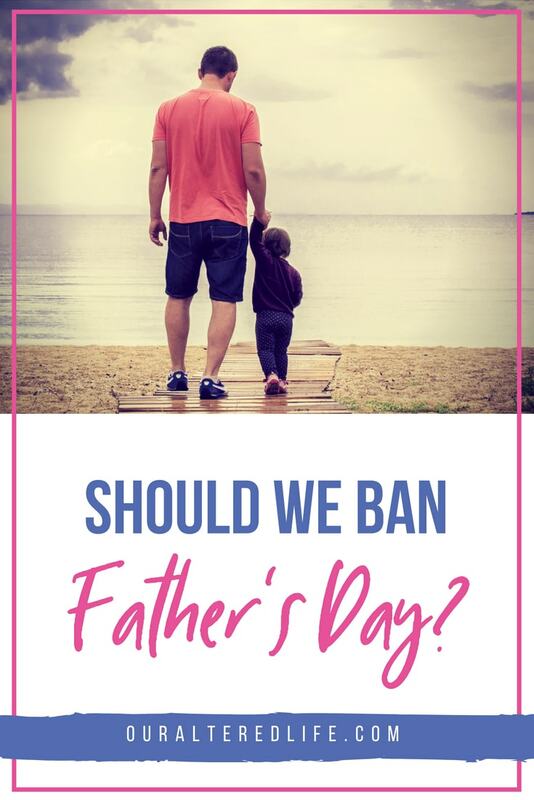 Granted he might not be a fantastic one but I feel that its ludicrous to even suggest banning Father’s Day unless of course we are banning Mother’s Day too? You might find my opinion surprising as it’s no secret that I’m not a huge fan of such commercial days. 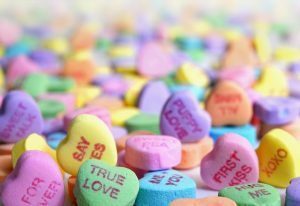 Valentines day died a loooong time ago (there’s a traumatic story behind my teenage heart break on valentines day if you want to laugh at my pain!) once I realised that my boyfriend was being ripped off massively when he bought me roses for the occasion. Possibly a little ungratefully I said I’d rather he didn’t bother and instead, treated me at other times just because he was thinking of me (I exercise my right to be suspicious in such an event) It rarely happened so I might have shot myself in the foot a little but I’m now with a partner who makes me feel treasured every day (here, have a sick bucket) and so Valentines day really doesn’t hold much significance. Similarly, I don’t really like the fuss being all around me for Mother’s day which is surprising as I’m *quite* outgoing but I do like to treat my own mum who is a diamond 365 days of the year. I tell my mum most days that I love her and we have a really special relationship as you will know from my interview with her about her feelings when I became a mother with a life I never expected. 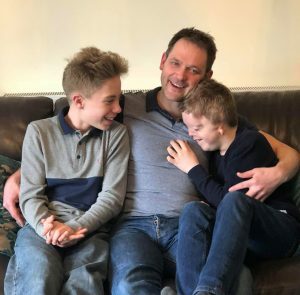 But its still lovely to remind her how special she is and as much as I don’t like the fuss now, I do hope that when my boys are older they remember to call by and pay me a visit on Mothering Sunday – probably with a bag of washing if they’re anything like my brother! So what about Father’s Day? My own Father was out of the picture when I was very young and I have recently connected with my step dad after many years estranged so I can’t say that it’s a day that’s ever really been important to me. Until recently. I think we take so much and so many people for granted in life. As a single parent I dared to wonder if I would ever meet someone who would love my boys enough for me to allow them into our lives. Then I met Andrew. Not to take anything away from my boys own Dad who is brilliant, Andrew has taken my boys under his wing in a way which has amazed me. 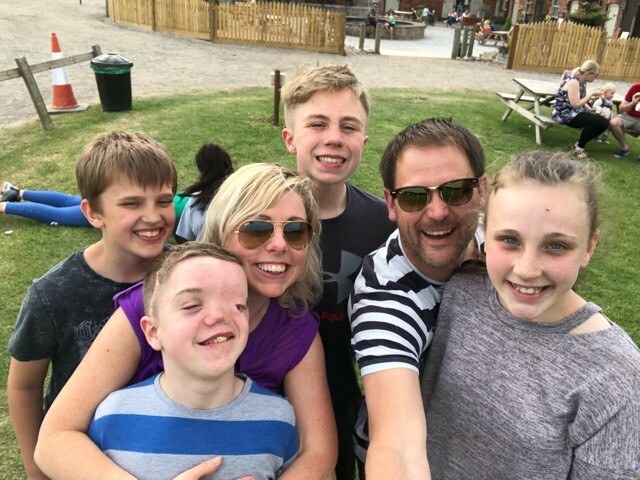 He has two children of his own (read my blog to find out how we make our blended family work so well) and a natural way of engaging children in adventure and imagination and I love him for it. I’ve said it a million times that the way to a mans heart might be through his stomach but the way to a woman’s is by loving her children. So, on Father’s Day it’s really important to me that we let Andrew know how much we all appreciate him. I always buy cards from his children and my boys and we try to go out as a family (or a 4 if my boys are with their Dad). Andrew is the LEAST materialistic person you could ever meet and so a gift for him has to be a thoughtful one. 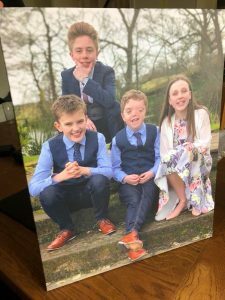 This year I opted to buy a canvas of an image taken at my Sister’s wedding recently where all our children looked beautiful. Its so rare to get all 4 of them smiling in the same direction that I just knew Andrew would love the gift. 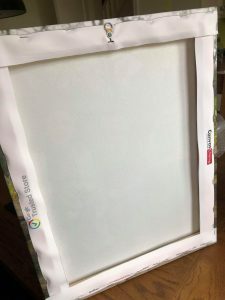 It was super easy to order from CanvasChamp with a huge selection of canvas prints, brilliant value ( I won’t say cheap in case he reads this blog), arrived quickly and looks fab. The quality is really lovely (I’ve shown the back because if you’re anything like me you’ll want to know the quality of the frame /wrap) More importantly, he absolutely loved it and its already hanging pride of place in our dining room! What do you think? I do get that these days are a commercial gold mine and as much as I don’t massively buy into all of them, I do like that we have a day a year where we can stop in the middle of our hectic lives and remind the people who mean the most to us that they are really important. I would love to know what Father’s Day means to you. Is it a time to shower your Dad / Grandad with love and kisses? A time of reflection to remember a Dad that might not be with you anymore? A chance to appreciate the Mum who was both parents for such a long time? A chance to thank a man who has been just like a Dad to you? However and whoever you are enjoying the day with I hope it’s a great one. I think now, more than ever with quite a lot of negativity around men, we need to let our nearest and dearest know that we love, appreciate and respect them. I too think it’s ludicrous to ban father’s day. I think dads, stepdads and father figures should be celebrated and I also think that for the single mums out there doing a dam good job playing mum and dad, well they should just be thanked on both days! 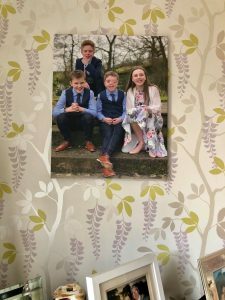 I love the canvas print and think capturing memories is so important and thinks like photo gifts and canvas prints make the best gifts. That is a lovely canvas! I agree with not banning Father’s Day, I love the chance for my children to let their dad know they appreciate and love him, he also enjoys seeing what they’ve written. I think it’s wonderful to have a day where we can make it all about someone special in a way that doesn’t happen every single day. We made breakfast in bed for my husband this year and Arthur served it to him – it’s definitely a one off kind of thing! I haven’t been in touch with my own dad for nearly ten years now and the last time I sent him a Father’s Day card he returned to sender to arrive on my birthday a week later…it was quite painful after that until we became parents ourselves but I would never ever take the moment away from anyone else just because it didn’t fit in with my circumstances. It shouldn’t be in question. How insulting to even entertain the thought. I am so appreciative of my husband and step dad for being such loving, kind and strong fathers who would die by the sword to protect their families. I know of people whose loving father’s have died — how insensitive to want to ban fathers day when it’s a day for those people to honour their lover ones.